Though it is December and Pumpkin Spice Lattes are a thing of the past, specialty coffee drinks are still whispering my name. I don’t get near a Starbuck’s very often to enjoy such treats (probably a good thing), but I still crave them. So, I started digging through my cupboards to see what I could come up with to satisfy my latter craving – without having to learn to brew coffee, of course. Have I mentioned that I love the smell of coffee but hate the taste unless it is completely fattening and made by someone other than me? This little latte represents my little afternoon break. I take a sip of my latte, enjoy my cookie, and try to ignore the cry of, “More chocolate milk!!!! !” for a few minutes (my 2 year old totally knows that the Ovaltine canister equals chocolate milk – I usually give in so I can enjoy my latte in peace.) 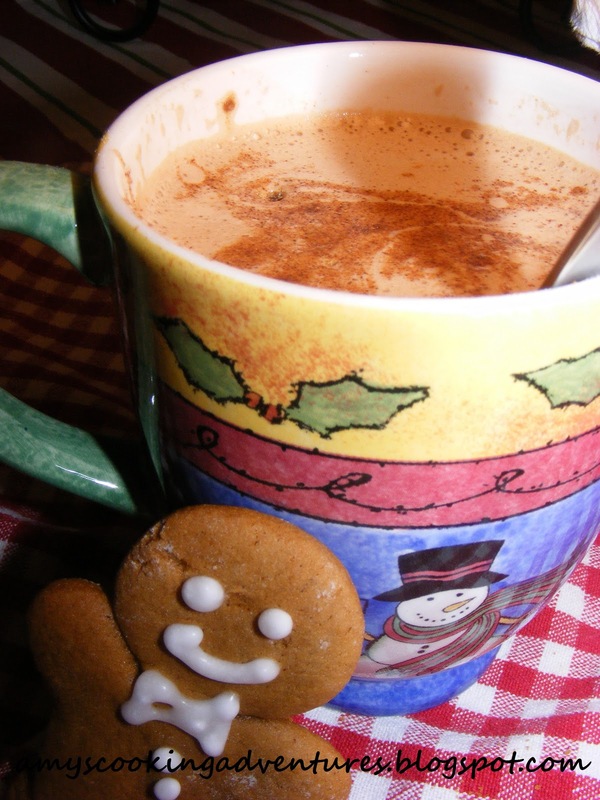 So grab a mug, sit back, and enjoy your break! Heat the milk in the microwave for 2 ½ to 3 minutes or until steamy, but not boiling. 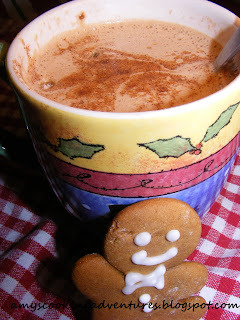 Mix in the Ovaltine, latte mix, and ginger. Sprinkle the cinnamon on top, sit back, and relax.